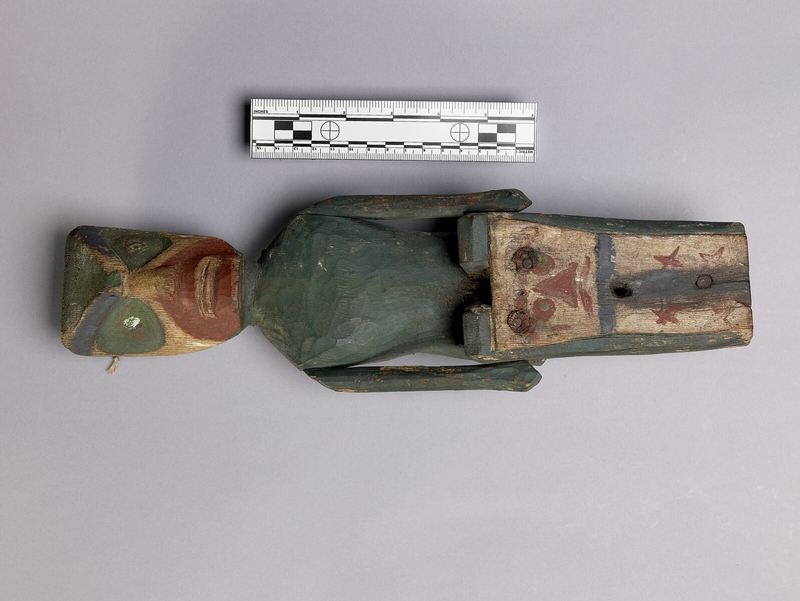 Item number A5260 from the MOA: University of British Columbia. 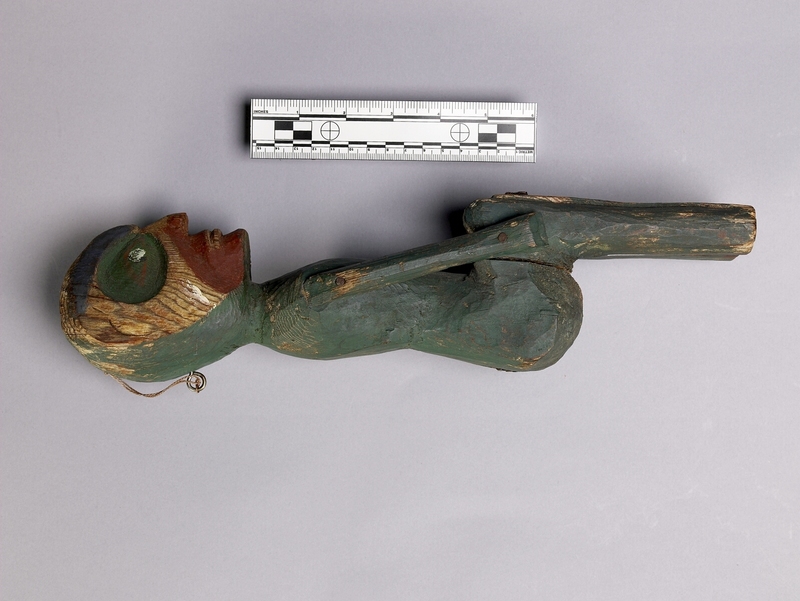 A wooden human figure holding a copper in front. The black eyes are surrounded by a dark green area with black brows above. There is a dark green dot in the middle of the forehead. The top of the head is dark green. The nose and mouth area are dark red. 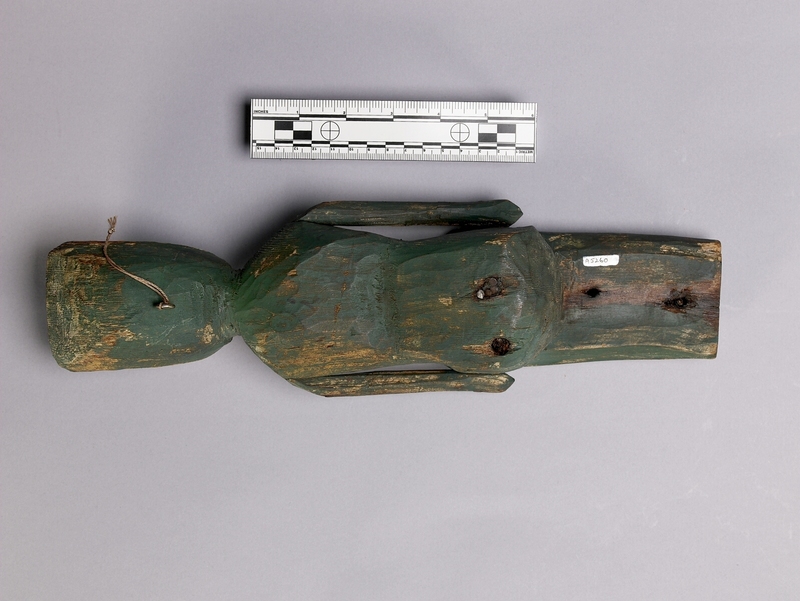 The body is painted dark green. 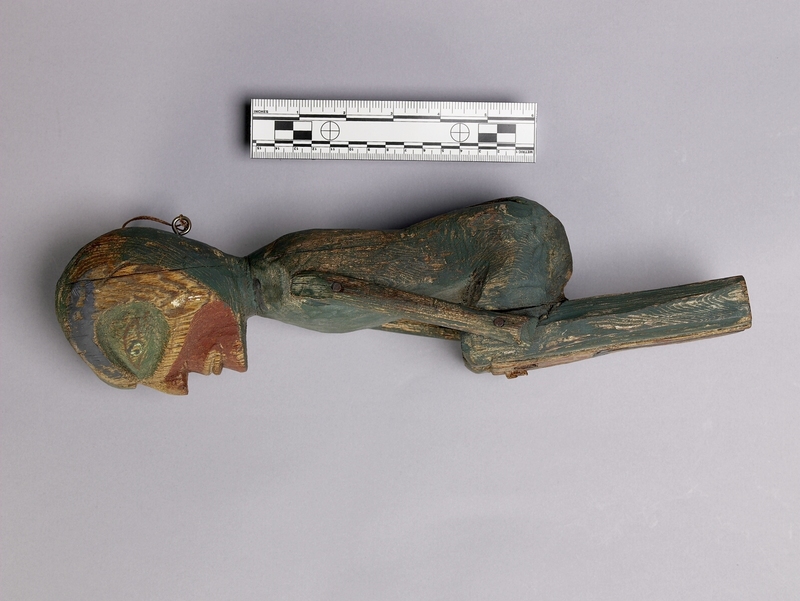 The copper is painted with an upper section that has a face with red facial features and dark green pupils. The lower section of the copper is painted black with a pair of two red x-shapes on either sides with a vertical dark blue T-line down the middle. May have been made for use in a copper naming ceremony.